In 1896 a group of Jewish families, many of which imigrated to America from Western Europe in search of political and religious freedom, joined together as friends to form Am Echod, One People. On Sunday, September 20, 1896, three days after Yom Kippur marked the first day they joined in worship. The desire was to educate their young and share life cycle events together. With little money but with the determination to live freely a life as Jews, they gathered their minyans in the homes of members of the congregation. As the years swiftly passed, the Jewish community increased greatly. It was time to find a permanent home. On March 3, 1901 a sash and door shop on South County Street was converted into the first Am Echod synagogue. Being an Orthodox congregation, Orthodox tradition was strictly upheld. During services, men and women were separated with men on the first floor and women in the balcony. By April 27, 1920 the Congregation outgrew the old. It was time to find a more suitable location. The old Masonic Temple building on the corner of Sheridan and Washington gave them room to breathe. Although stores and the Title Company utilized the 1st floor, there was always the second floor for social gatherings and a 3rd floor for the Synagogue and classes. The change of men and women sitting together during services indicated a change from Orthodox to Conservative. The Jewish community in Waukegan continued to grow and pressure mounted to build a newer house of worship. 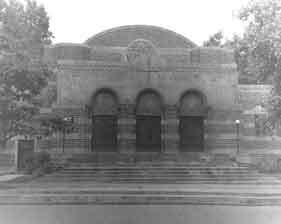 On July 17, 1927, the cornerstone was laid for the construction of new Byzantine style synagogue located at 330 N. Sheridan Road. For Passover 1928, services were held in a grand and inspiring house of worship. The synagogue became the center of Jewish life for 150 families and offered a multitude of opportunities: B’nai Brith Women’s Auxilary, B’nai Brith Junior Auxilary, AZA Boy’s Youth Group, Men’s Club, Young Judea, Social Club, Young Married’s Club and Hadassah. Time passed and Am Echod continued to flourish. Waukegan had become the largest Jewish community between Chicago and Milwaukee. Growing numbers pressed for the purchase of a new site located at 1500 Sunset. 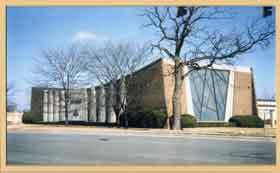 Am Echod was destined to become the Jewish Cultural Center for the Waukegan Jewish Community. Outings, entertainers, novel programs, hilarious skits brought continued life to a thriving Am Echod. Tales are still told today of the visit from Eleanor Roosevelt. There are fond memories of Jack “Benny” Kubelsky whose father Mayer Kubelsky was one of the 13 founders of Am Echod in 1896. In the late 1970’s the population of Waukegan changed dramatically. Membership declined as members moved away and others passed. By 1980, family membership dropped from 350 families to about 100 families. Despite fire and tornado, those who remained were committed to survival and the carrying on of the Am Echod spirit. Around 1990 new subdivisions began to be developed west of Waukegan and west of the toll road in the Gurnee-Lindenhurst-Grayslake area. The seed of a new Jewish community was sure to thrive. However, Am Echod had to make a most difficult decision. Moving from Waukegan, which had been home for 100 years, was difficult but necessary. A move west was believed destined to bring renewed hope for the continued health for the Jewish community yet to come. On Sunday, August 15, 2004, families of Am Echod gave rebirth to new life for the Am Echod community when it dedicated the new Am Echod Lindenhurst. As a Reform congregation, the story of a community coming together through minyans, yahrzeits, educating children, transmitting Jewish values, offering charity, celebrating simchas and sharing sorrows will continue as it had for the past 100 years. Its doors and hearts are open to all families of Jewish and mixed faith as their spiritual home. 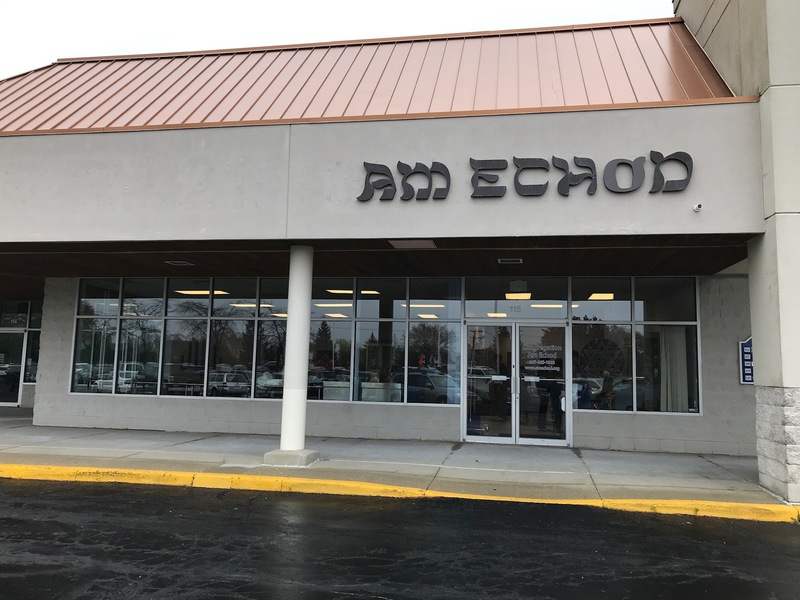 In 2017 Am Echod moved to its current location in Grayslake. This provides us with a nicer building and classrooms. 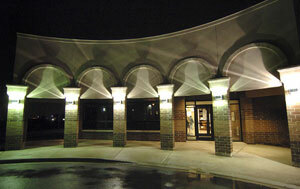 It’s location is central to the Jewish community in Northeast Illinois. The goal of todays Am Echod remains the same: to educate our young and to gather together as a community for Shabbat, holidays, simchas, and Tikkun Olam.